Home inspector Roberto Chavez is the owner and ASHI certified inspector of Del Sol Property Inspections. Roberto was raised in Northern California and is a longtime resident of Phoenix, Arizona. When not inspecting properties, Roberto enjoys spending his free time with his family and running in marathons. 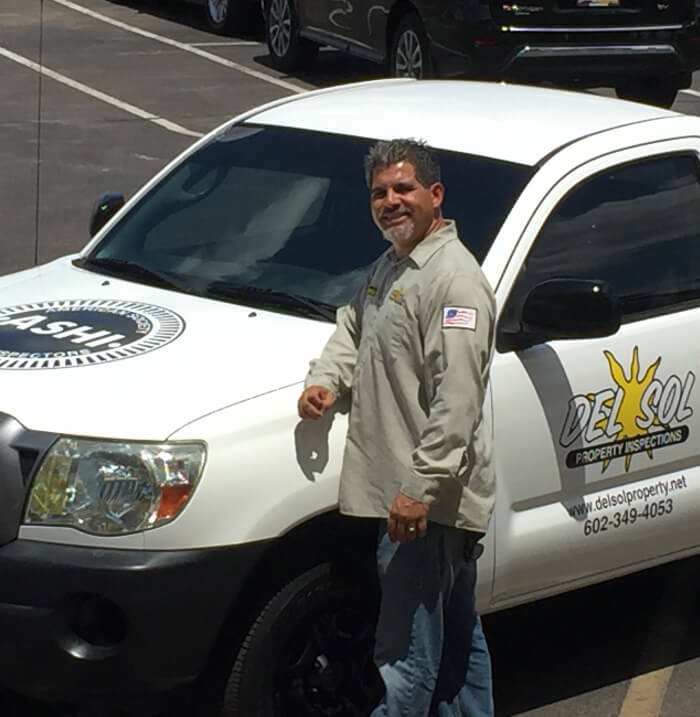 Roberto has been in the home inspection industry for over 16 years and the pest and termite control industry since 2008. He believes that the best home inspection should give a homebuyer a complete picture of their property, from the roof to the foundation and everything between, including checking for pest and termite issues. Most residential inspectors offer a standard home inspection for the structure and systems of a home but will charge for a pest and termite inspection as an extra service. Roberto includes all three of these in our Complete Home Inspection. As a seasoned, well-experienced home inspector and pest control advisor, Roberto is ready to identify issues and suggest fixes for any problems found during your home and pest inspection. His goal is not only to help you determine the positive and negative aspects of your property but to guide you through the next steps in the process so you have a clear path moving forward. Roberto is well-known for his honesty, integrity, and dedication to helping his clients understand their inspection results and choose the right home. For the highest quality inspection in central Arizona, contact Del Sol Property Inspections today!